Today I came across a recent post on the Wicked Nails blog called Polish Us Pink 2. 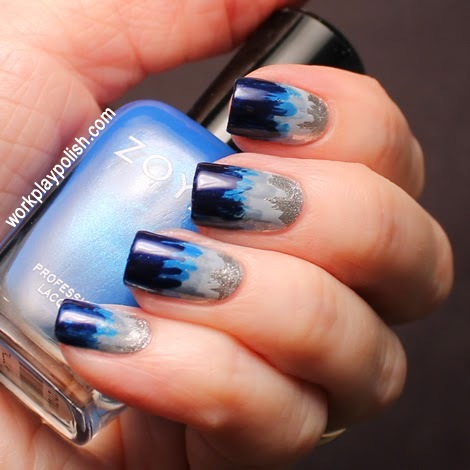 It's a gorgeous "dip dye" look using a metallic silver as a base and a gradient of pinks. 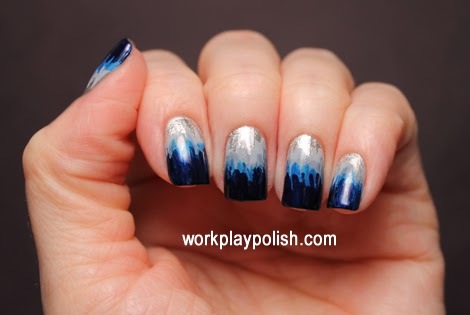 I see manis that I love all the time and say "Hey, I want to try that someday." But this time I'm like "Yeah...um...I'd like to try that right now." As in this very moment. LOL. So no less than 30 minutes after arriving home from the office...I was indeed recreating the look. Luckily for me, Rylee, the talent behind Wicked Nails, also produced a video tutorial (score!). You can see it here. Sorry for the picture bomb that follows. 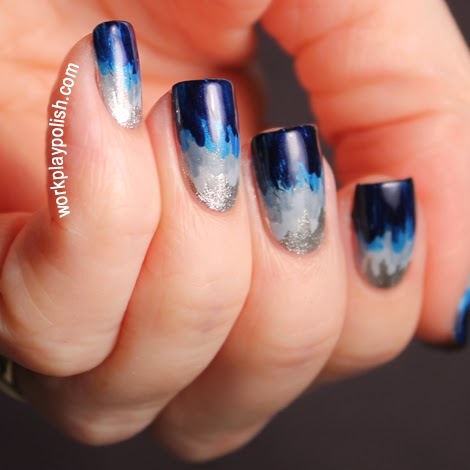 I just really like this mani! Like Rylee's version, I also used a silver base (Sally Hansen Celeb City). 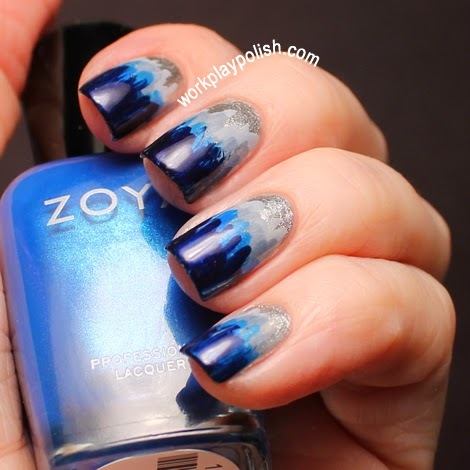 Instead of pink, I created a blue gradient out of four Zoya blues: Kristen, Skylar, Tallulah and Ibiza. This was soooo easy and quick.